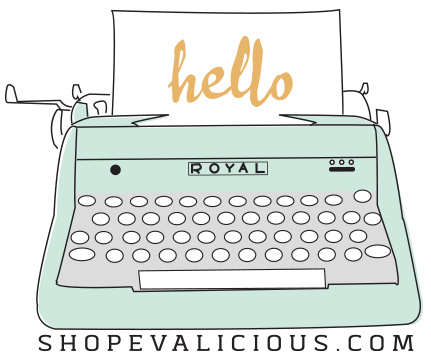 It's Laura here with my very first post as part of the new DT (seriously pinch me!) . I am going to be straight up honest, creating this first project scared the heck out of me and I kept walking away from it. 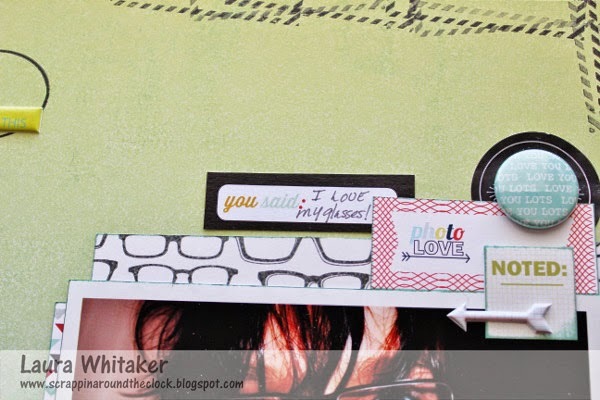 In the end I totally love what I created, but that is not too much of a stretch seeing as I got to play with some really great Evalicious products! 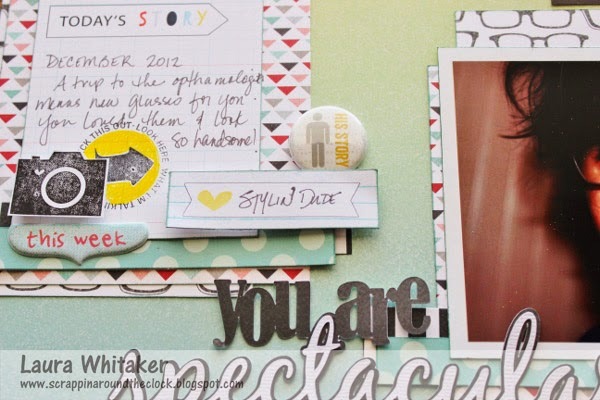 I had so much fun playing with the elements that Eve sent to the DT, I am in love with her flair, and I probably could have continued to add things to my page! ha! 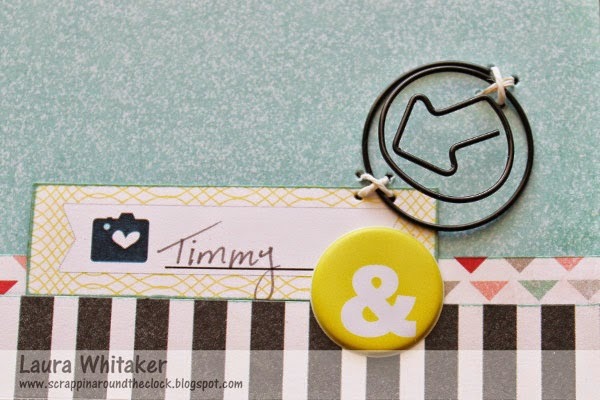 I layered up lots of little tags to bring some colour to my page,and give me some fun places to add some notes to my page. The stamps are so cute and after stamping a couple, I cut them out and popped up some of them. 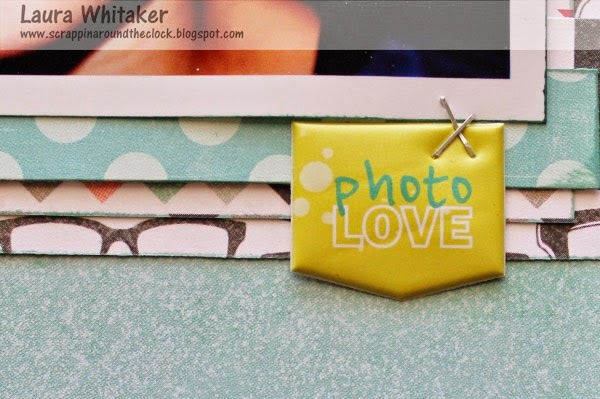 This little arrow clip is too cute to hide behind a photo, so I stitched it right to the page. And these little puffy stickers are so sweet, and come is all sorts of great colours and designs. They didn't NEED the staples, but I wanted to add the texture, I think it looks cool. 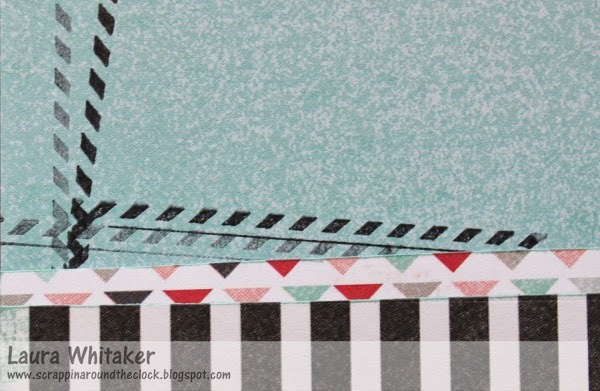 I also used some of the stamps to do some rand stamping around the edges of my page, I love the way it turned out! Thank you for visiting! I would love for you to following along with the team, I know I am going to, these girls are seriously talented! Great page!! Love all of your details!